Based in Split, this 2012 Lagoon 570 is hot enough to melt the Arctic ice. 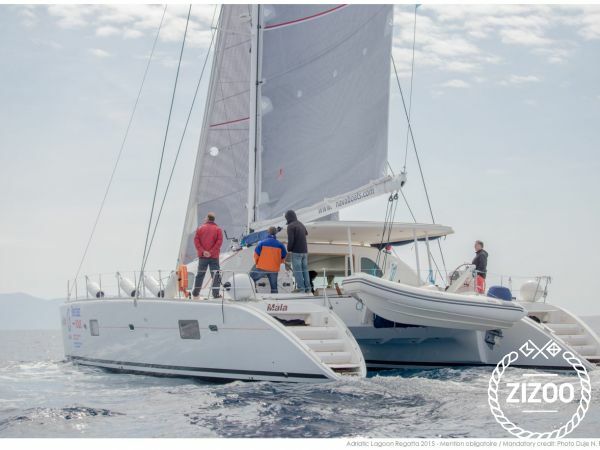 With 5 cabins that sleep 10 comfortably, a massive salon and ample deck space, you can host a number of friends and family and prepare a scrumptious meal on this wonderful catamaran. Serve up some Dalmatian prosciutto, with some Istrian olives and Pag cheese on the side and you're guaranteed to have to wait a full half hour before plunging into the blue seas. With your starting point in Split, you can sail to Bisevo, Vis, Sibenik or Vodice. Anchor in Kornati and experience beauty stripped to the stone, or make your destination Solta for some quaint and relaxing downtime. Set sail for Krka National Park where you can swim in the waterfalls.